Breast augmentation, or breast implants, is a cosmetic procedure that enhances the size of the breast. It involves inserting artificial material into the breast. Silicone and saline are two types of implant materials used during breast augmentation. The breasts may also be lifted during this procedure. Breast augmentation is one of the most popular procedures performed by Dr. Fasano, and is a procedure that continues to gain popularity across the world each year. 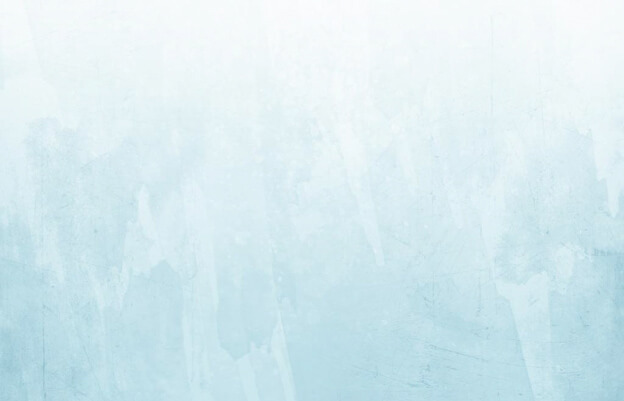 Dr. Fasano uses the Keller Funnel technique for silicone gel implants, and you can read more on that below. Not every implant is the same. Dr. Fasano proudly uses Mentor Implants for his breast augmentation patients. Mentor implants are the only breast implants made in the USA. They offer the most comprehensive implant warranty on the market and have never had a recall. If you want your breast augmentation investment to come with peace of mind, we encourage you to schedule a free cosmetic consultation with Dr. Fasano today. Many women get breast implants because they feel self-conscious about the size of their breasts. Others get this procedure because they want to fill out their clothes better. Additionally, this procedure is popular among women who have had children as pregnancy can cause the breasts to sag and change shape. No matter the reason, Dr. Fasano and his experienced surgical team can help you gain the confidence you once had. Is Breast Augmentation A Good Choice For Me? 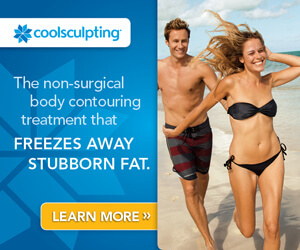 Dr. Fasano will help you decide if this surgery is right for you during your free cosmetic consultation. If you are interested in getting breast implants, then you should be in good health. You should also be physically fit. Keep in mind that smoking can slow down the healing process. That is why you will need to quit smoking before you get this surgery. Dr. John B. Fasano is pleased to offer The Keller Funnel™ method for silicone gel breast implants. The Keller Funnel™ was introduced to the U.S. in 2009, but Dr. Fasano was among the elite group of physicians that tested it before its release. He has been using the technique ever since. Benefits of the Keller Funnel™ method of surgery include shorter incisions, reduced tissue trauma, improved comfort, faster healing and less damage to the gel implant wall than other techniques. The funnel itself is in sterile packaging and is only used once. LubriLAST™, a patented, hydrophilic coating, makes up the interior of the Keller Funnel™. The funnel is meant to help with the delivery of pre-filled silicone gel implants by providing a shell-tissue interface with less friction while the implant is being inserted. In addition, this technique is no-touch, preventing contamination during the procedure. If you are interested in the Keller Funnel™ for breast augmentation in Jupiter, Vero Beach or a nearby area, contact Dr. Fasano today! Are There Any Risks Involved With Getting Breast Implants? Breast augmentation is very safe, and most women do not have any problems with it. Dr. Fasano utilizes the very precise Keller Funnel Technique for silicone gel breast implants. First introduced to the U.S. in 2009, he was among the elite group of physicians that tested it before its release. He has been using the technique ever since. Benefits of the Keller Funnel™ method of surgery include shorter incisions, reduced tissue trauma, improved comfort, faster healing and less damage to the gel implant wall than other techniques. As with any surgical operation, some risks are involved. Internal bleeding, changes in sensitivity, pain, blood clots and scarring around the implant are some of the risks that are associated with surgery. Risks are also the number one reason why your surgeon of choice should be trusted and experienced. Dr. Fasano is highly respected in the local community. He was previous Chief of Surgery at Martin Memorial Hospital in Stuart, FL, and is member of the Board of Directors. Dr. Fasano is known for his meticulous surgical technique and artistry in the operating room. Keep in mind that implant materials are not meant to last forever. In most cases, they will last about 10 years. Some patients will need to get their implants replaced sooner while others’ implants may last for much longer than 10 years. Implant failure/rupture and weight changes are two of the major reasons that people have to get their implants replaced eventually. Experience and medical reputation matter. One of the things that you can do to ensure that you get a positive experience from surgery is to select a qualified plastic surgeon. 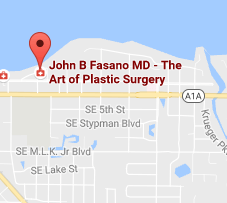 Dr. John Fasano is board certified by the American Society of Plastic Surgeons and is a member also of the American Society for Aesthetic Plastic Sugery. He is well known and respected in the Stuart medical community and was previously Chief of Surgery at Martin Memorial Hospital. You can rest assured that your surgical needs are well taken care of in his hands.